One of the most groove-oriented acts in the Cypriot electro-rock and trip hop scenes, Sound of Thieves relied on the sweet, fluid vocals of Phoebe Pope and a laid-back mix of fusion, funk and alternative rock produced by her and Jan Bures on beats/loops and electric bass, respectively. 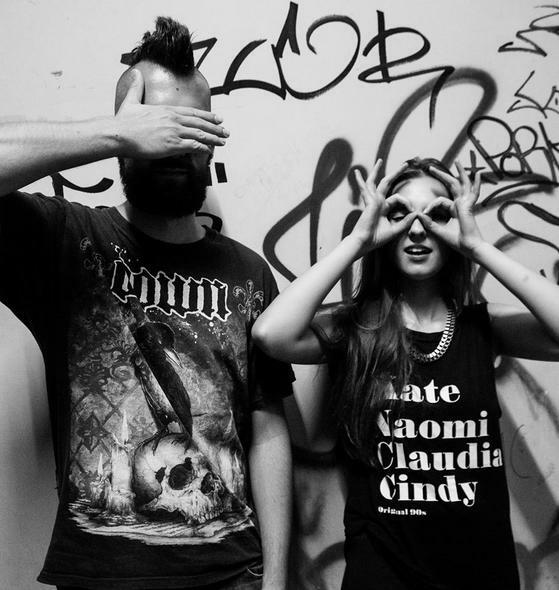 The duo was formed in 2014 in Nicosia, Cyprus, and after two years of creating music and playing mainly in the island’s live venues and big festivals (e.g. Farma Projekt, Fengaros Festival, Loud Music) they decided to relocate to Manchester, UK. It proved to be a clever move, as they caught the attention of the public and were invited to performed in various stages in the country and abroad (Salford Festival, Aufgetischt in Switzerland, Buskers Braunschweig in Germany, the Edinburgh Fringe Festival etc). Sound of Thieves take their inspiration from various and diverse forms of music, crafting songs where experimental pop, film soundtracks, trip hop, funk and electronica coexist. Their first EP, In My Kingdom, released in June 2018 is a stylistic tour de force. At times, the melodies can sound a little distant (“Freedom” appears slightly disjointed, yet enchanting), as if the production and the fusion were more important than the actual songs, but the duo is so skilled and Phoebe’s voice is so captivating that their sound becomes irresistible in its own way.